MACC D.C. power conversion systems are designed for a broad range of industrial and surface finishing applications, including electroplating and anodizing. MACC rectifiers are easy to operate because of microprocessor-based controls. Controls can be placed at a distance from the plating line and can also be interfaced with plant computer systems. To ensure maximum performance, MACC power supplies have extensive overload protection and a patented shortcircuit protection system. Models rated at 4000 amps or more also feature interphase transformers to improve efficiency and reliability. 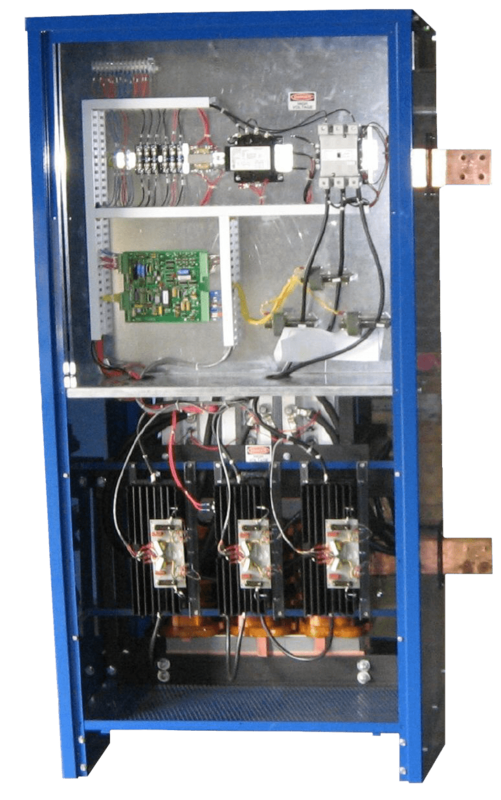 PEC designs and manufactures MACC D.C. power conversion systems in-house for dependable quality. Our transformers have the industry’s lowest failure rate. Complete systems are run at full output and all safety interlock circuits are verified prior to final inspection and shipping. For more information on MACC D.C. power conversion systems, call Process Electronics Corporation or your local PEC equipment distributor.